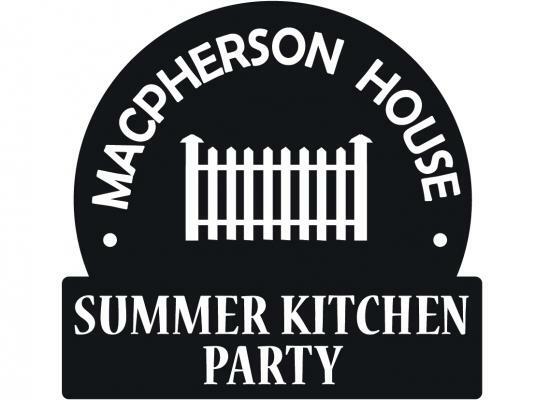 Grab your chair, there's a kitchen party at the Macphersons'! On August 9th at 7pm, the Kingston Ceili Band will provide some toe tapping fun in the gardens of Macpherson House! Join us for a set packed with Ceili Band classics. The Kingston Ceili Band has been a beloved Kingston institution for over 35 years, and continues to delight local and regional audiences with its rousing mix of Irish and Scottish traditional and contemporary Celtic music, and Canadian folk songs with classics from Stan Rogers, Gordon Lightfoot, Great Big Sea, and many more. Add in original arrangements of many classic songs and tunes, and The Kingston Ceili Band has something for everyone. The current Ceili Band configuration features Dennis Wilson on banjo and vocals, Maggie McIver on fiddle, Shane Dunne on guitar and vocals, Anne Archer on flutes and whistles, Laura Anderson Brick on accordion, and Eric Brousseau on percussion. Bring your own chair to sit around the front gardens at the House, light refreshments available in the kitchen. Admission is only $3 each. For more information, call the L&A County Museum & Archives at 613-354-3027.